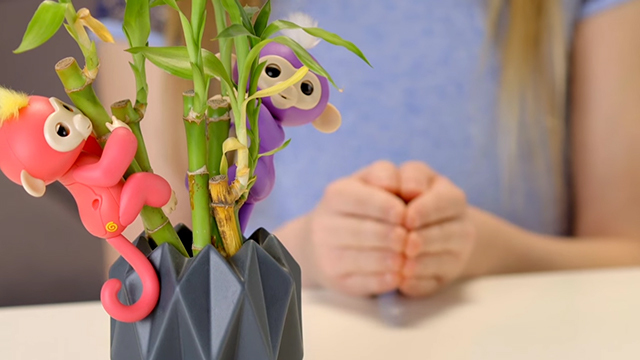 Learn How To Play With Your Fingerlings® | Friendship at your fingertips! Fingerling baby monkeys have two special sensors on top of their heads. Tap once or twice on either side to trigger a variety of different reactions! 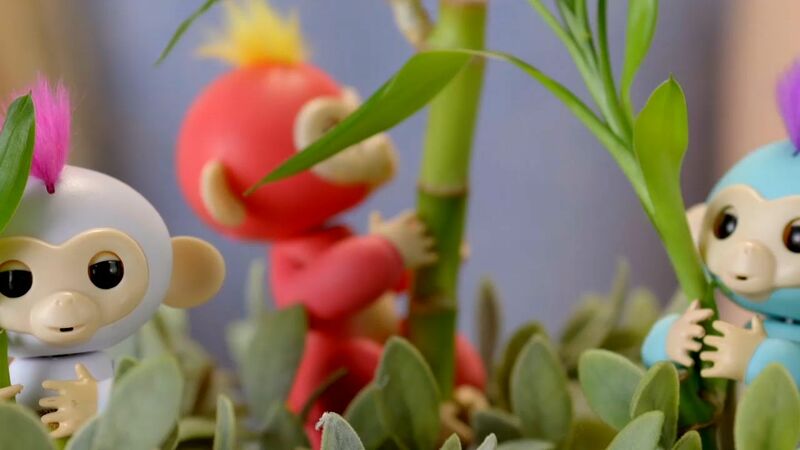 Give your baby monkeys some tender loving care, and they’ll soak it right up. From soft cooing sounds to happy eye blinks, you’ll see that a little love can go a long, long way. Fingerlings are a chatty bunch. They can make over 40 different sounds, and they respond differently if they’re right-side up, upside down or lying down for a nap. Get creative and trigger them all! Baby monkeys need their naptime. Cradle them in your hands, rock them to sleep and watch them drift off to dreamland… and make all kinds of adorable sleepy sounds while they do it! Baby monkeys are a huggable bunch, and they love to cling to things. Let them grip your finger, the side of your notebook or even your straw or highlighter. They’ll feel safe and secure because they’re close to you! 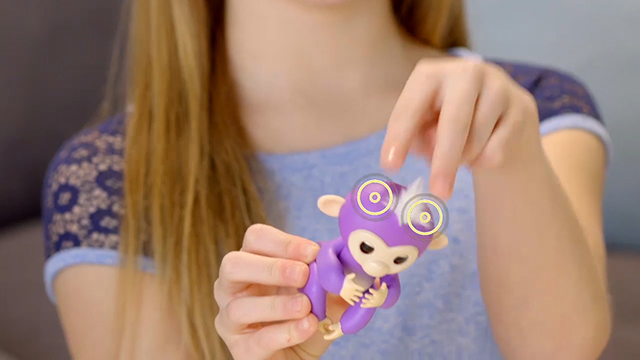 Here’s a fun little trick: clap your hands twice and the Original 6 Fingerlings will all start to sing. Do-re-mi-fa-so-la-ti-do!